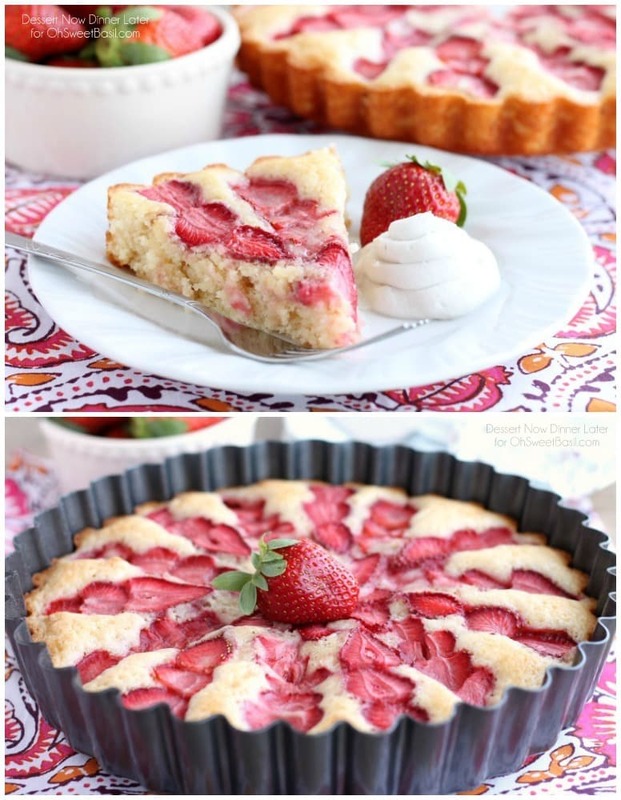 Strawberry Cake - Dessert Now, Dinner Later! 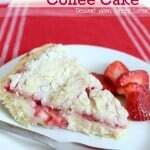 We served this cake with a side of sweetened coconut whipped cream. Have you tried it? Basically you refrigerate a can of unsweetened, full-fat coconut milk and then turn it over, open it up, drain the liquid, and scoop out the cream to sweeten and whip up with a little sugar like you would heavy cream. 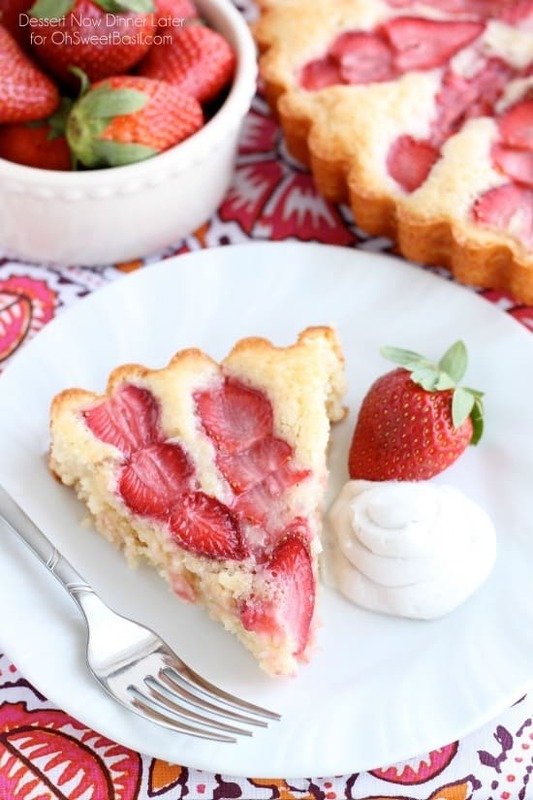 It’s really good because it tastes like coconut and if you put it on this strawberry cake warm from the oven, it melts and soaks into the cake. MMM-mmm! 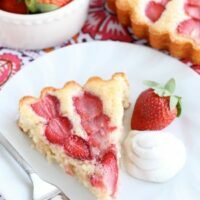 I even have a secret tip for making this recipe go super fast and it has to do with slicing the strawberries… You use an egg slicer! You heard right! EGG SLICER! Hopefully you have a semi-sturdy one, but it saves loads of time and then you can shingle the strawberries on the cake however you like. 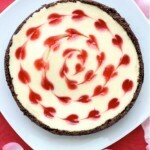 Anyway, this cake is easy to make, lightly sweet, and perfect for Valentine’s Day! You will love it! In a large bowl, whisk together the oil, milk, vinegar, vanilla, and egg. Combine the flour and baking powder, then whisk it into the wet mixture. Pour cake batter into a greased 8 or 9-inch round cake pan. 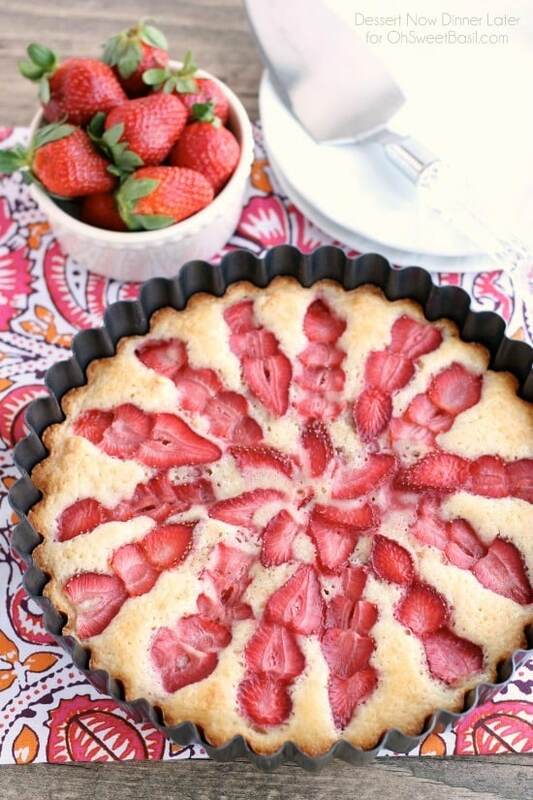 Gently layer the strawberries on top of the batter in any pattern you like. Sprinkle 1 Tbsp sugar on top of the strawberries. 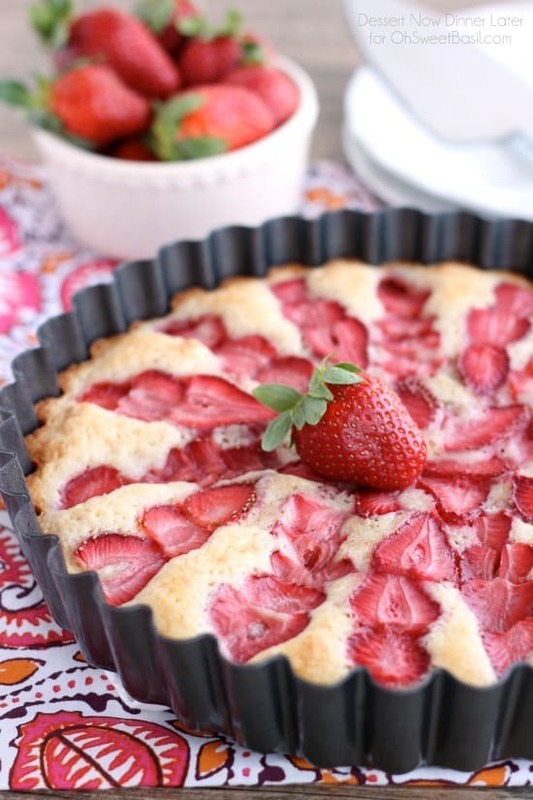 Bake at 350 degrees Fahrenheit for 25 to 30 minutes or until cake is baked in the center. Check doneness with a toothpick. Allow cake to cool completely. REFRIGERATE the can of coconut milk OVERNIGHT to allow the cream to solidify at the top. Turn the can upside down and open from the bottom. Pour the liquid into a cup. Save it for smoothies or another recipe. Scoop out the solidified coconut cream and put it in a COLD BOWL. Using a hand mixer, whip the cream with the sugar and vanilla until light and airy. It doesn't quite double the way heavy cream does, but it will still get lighter and whipped. 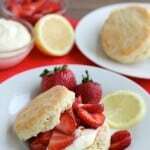 Dollop cream on top of or next to a slice of cooled strawberry cake (if you put it on warm cake, it will melt.) Enjoy! *Refrigerate leftover cake and cream. You may need to re-whip the cream after refrigeration. Thanks Kelly! It was a really fun cake to make and equally delicious to eat! Believe it or not, I JUST tried coconut whipped cream for the first time this past weekend! You could say that it was love at first bite. LOL. 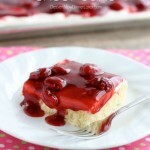 I’m so wishing I had a slice of this gorgeous cake right now to go with the remainder of that cream! I can’t believe I tried coconut whipped cream before you! haha. It is SO good! Thanks Sarah! Looks magnificent, Amber. I love how you decorated the cake! Thanks Teresa! It was super fun to make!